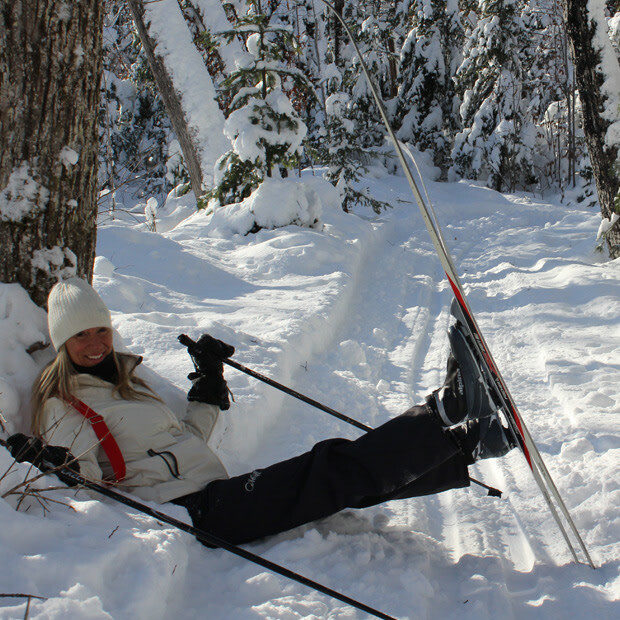 Cross-country skiing and nature lovers will be thrilled by the 10 km of marked and groomed cross-country ski trails in the municipality of Blue Sea. The parking lot is located 1 km from the village centre on Cemetery Road at the intersection of Lac-Long Road. Six trails ranging in difficulty from easy to intermediate await you, and there’s a charming little log cabin equipped with a wood stove. Trail maps are available on site or on the municipality’s website at www.bluesea.ca. Starting point: N46 11.445 W76 04.113.